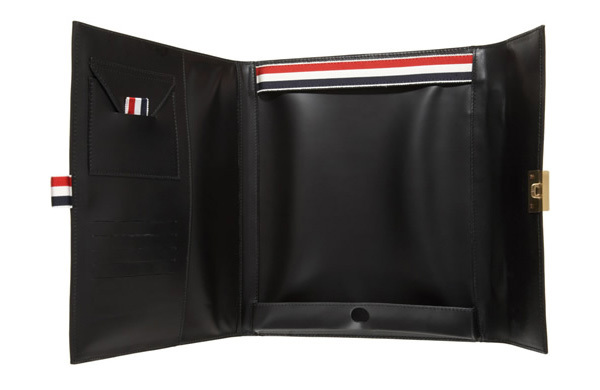 Designer Thom Browne recently introduced his latest in a line of quality leather goods. This time, he keys in on the desire for all things tech. Made from leather, this iPad case features a front flap that has a gold tone locking clasp closure with key entry for security. The brief also has five interior card slots, tricolor detailing and an envelope pocket. 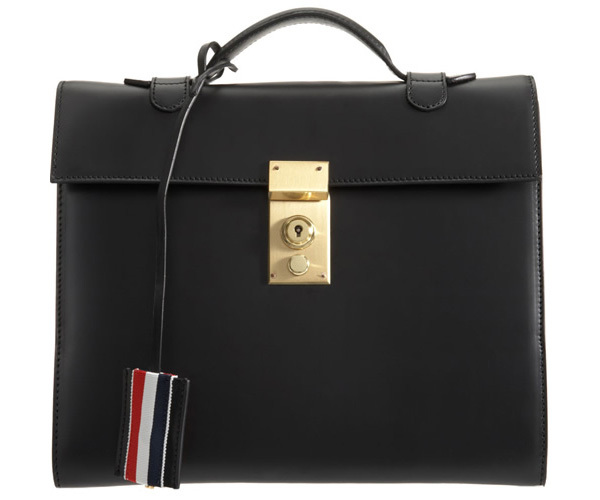 Order yours now for $1,005 from Barney’s New York.